Speedup Multipurpose Responsive WordPress theme is perfect if you like a clean and modern design. The clean design helps create a first impression of a thoroughly professional and mature corporate entity, about and team section in the template. This theme is simple and elegant style that allow you to stand out from other companies. Code written in a simple way by which you can easily customize it. Template uses a bootstrap grid system so the site is adapted to each device. Lots of possibilities, responsiveness and optimization. 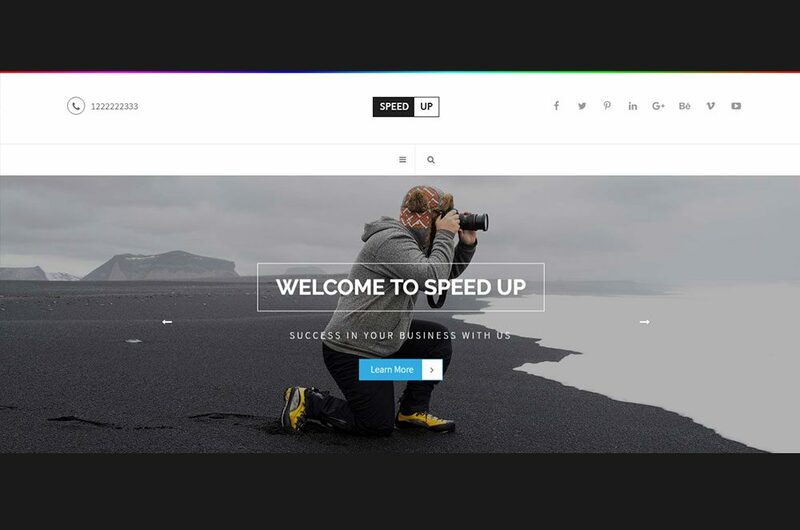 Speedup theme works on self hosted WordPress and WordPress Multisite versions 4.5 and up (download from http://wordpress.org). We care about our customers and you will get best support possible – there will be no questions unanswered!